Yesterday, I shared my ten favorite American Idol contestants along with the promise that I would deliver my bottom dwellers today, which I'm sure is the list you are much more interested in seeing. I'll get on with it- what follows are the five (-ish) people that found a way to really irk me. Just thinking about them again makes me cranky. I need some chocolate. 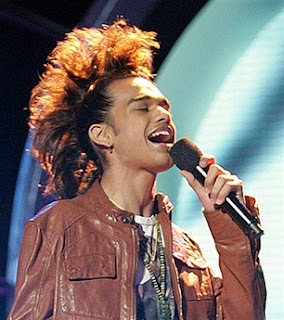 It's a mystery for the ages: was Sanjaya overstaying his welcome really Vote For The Worst's doing, or did the young girls really just like him that much? Any of them, all of them. I can't tell you how many times- and I am so sure I'm not alone on this- I've wanted to get up and scream at a judge, THE SHOW IS NOT ABOUT YOU!!! Not once have I felt that an American Idol judge genuinely cared about any of their contestants- they are more interested in creating a sound bite than helping to shape someone else's career. How I wish they would take some hints from any of the judges on So You Think You Can Dance or my personal favorite judging team, The Sing-Off (I love you, Ben Folds) or even- gasp!- The Voice. 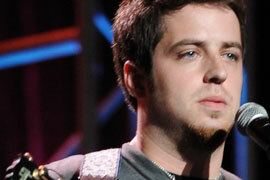 Lee DeWyze was the most uninspiring of all American Idol winners- but that yawn-inducing personality was par for the course during the show's ninth season. Did anyone else find it ironic that he used to sell paint? Because watching paint dry would be more exciting? No? In any case, I came thisclose to giving up on the show again, and that is why I resent Lee, Crystal Bowersox, and everybody else from that year. I was shocked when I discovered I was in the minority about this, but color me unimpressed with this Season 10 contestant. I am pretty accepting with other people's taste in music (just because it's not my cup of tea doesn't mean someone else can't enjoy it) but... I just don't get The Durbs. He was consistently out of tune, he screamed more than he sang, his "high notes" were much more Gokey- more on him in a moment- than Lambert, and don't get me started on that scarf tail thing he insisted on wearing. 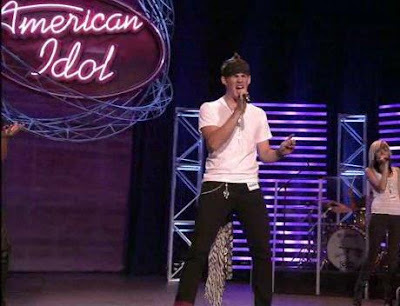 I'd like to think that if Simon was still around that season he would have called him out for being "indulgent"- for all the former contestants Simon threw that term at (Chris Daughtry, David Cook) there was nobody more deserving of it than James Durbin. The more the judges lavished him with praise, the more I seethed with anger. But seriously, what's with the tail? 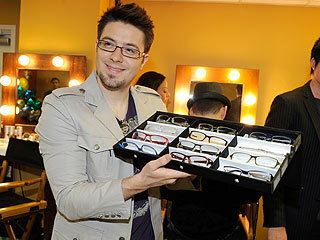 Danny Gokey had something truly sad and tragic happen to him, which made it all the more infuriating to not be able to stand him. It's enough not to like someone, but then to have to feel bad about it too? It's the worst. And then he had the audacity- the AUDACITY!- to think he can nail those high notes on "Dream On." I shudder at the memory. These days it seems he's calling himself a country singer. How did that happen? What did country music ever do to him? And his stupid different glasses every week!!! So there you go, my American Idol villains. Any surprises? Did I forget anybody?